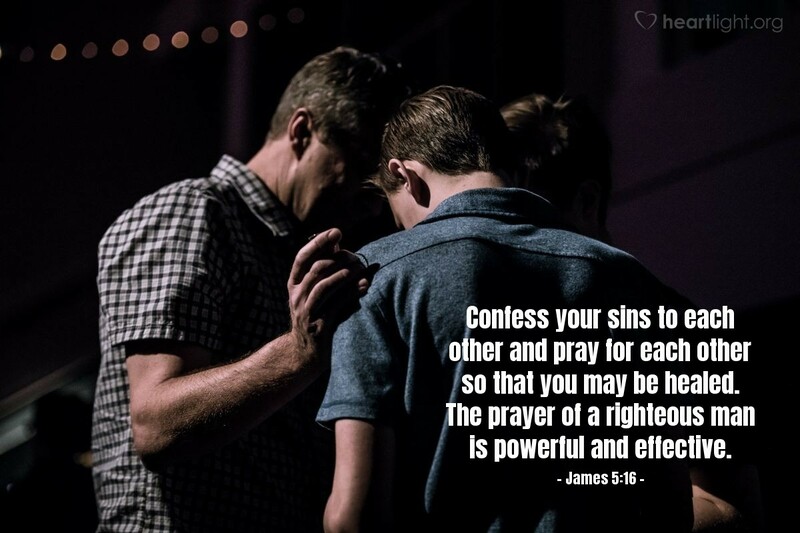 To confess our sins means we do two things with our sin: 1) we recognize sin for what it is in God's eyes and 2) we get rid of our secrets and are honest with another Christian about our weakness, vulnerabilities, failures, and sins. James' language is powerful. He mentions that this confession doesn't just bring forgiveness, it also brings healing. Holy Father, I have sinned. I now confess my own personal sin of ____________. I ask for your forgiveness and for your Spirit to strengthen me in overcoming temptation. I want to live for you and not let my sin, any sin, entangle me and draw me away from you. Through the mighty name of Jesus I pray. Amen.